Redesigning or refurbishing your kitchen and looking for a new range of base units? Whether you need a highline kitchen base unit, a kitchen sink base unit, an open base unit, a low level or peninsula base unit, we have plenty of choices available. 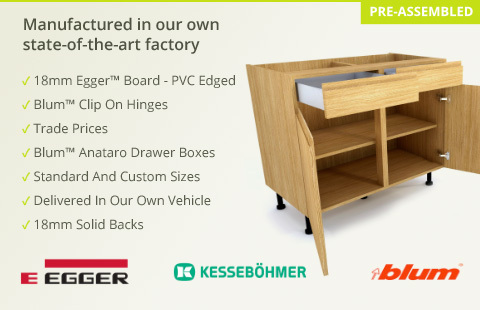 Made from Egger board and PVC-edged, these are high quality kitchens units at sensible prices, delivered direct to your home in our own vehicle.